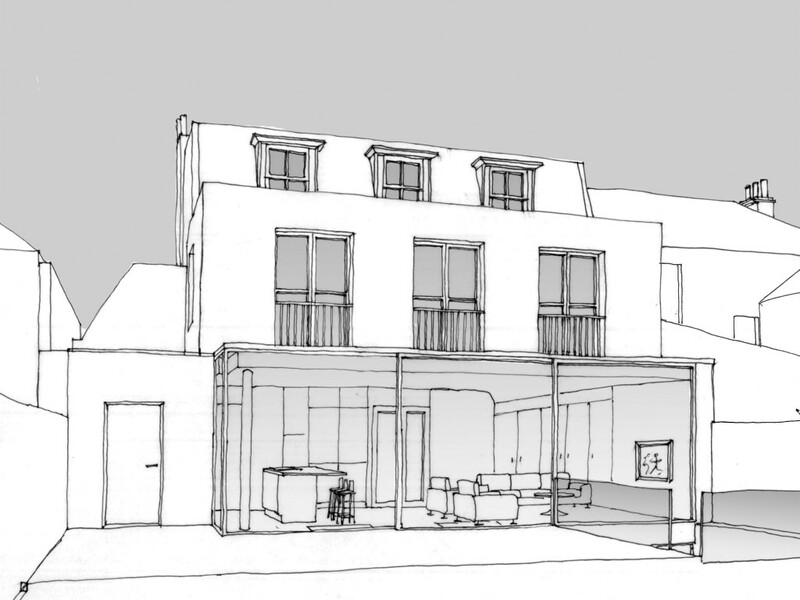 HEAT have gained a remarkable planning consent for the transformation of an eight bedroom Edwardian house in Wimbledon. Whilst at the front this “locally listed” house would remain the same the rear will be completely rebuilt with a huge glazed kitchen extension with panoramic doors that slide down into the floor. 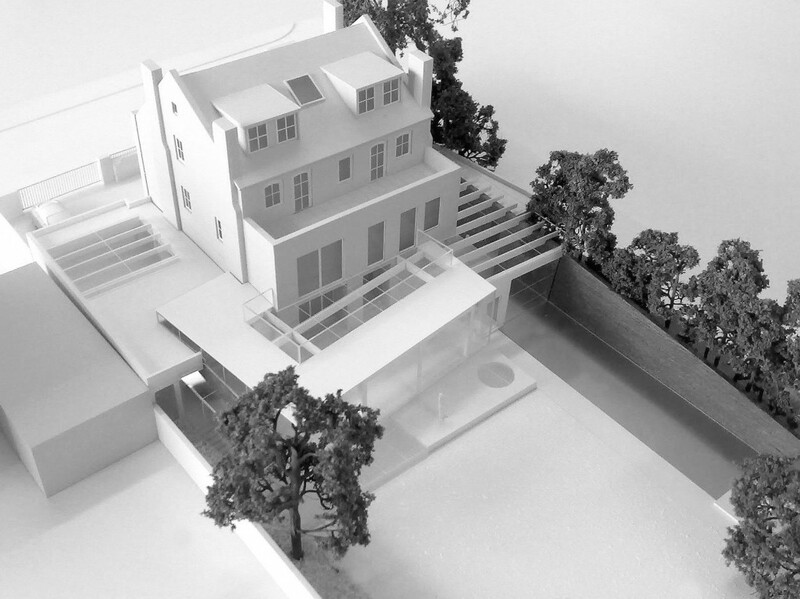 A new basement under the house will house a gym lit by sunlight passing through the glass-floored swimming pool over. A gracious cantilevered helical staircase unites the new floors and brings sunlight right down to the basement level. Permission for this fabulous design was the result of six months detailed work with Merton Council planners who were extremely clear and helpful.